What can go wrong on a space-mission? How to choose a crew and why did the soviet space mission managers send their cosmonauts on month-long car-trips across the Soviet Union? This book deals with some of the most fascinating aspects of spaceflight – everything that has to do with the human passengers. It was quite a fascinating read – finding out about some of the things that have gone wrong in the history of spaceflight, but also finding out more about life in space in general. I’d say it is an illuminating book for space enthusiasts, though it is more than ten years old, from a time when ISS wasn’t yet finished nor continuously inhabited and space shuttles still flew, and Columbia hadn’t disintegrated, so while in this book a lot of examples come from the Russian Mir space station, the conditions on ISS are somewhat different, and we’ve learned a lot more about life in space in the mean time. 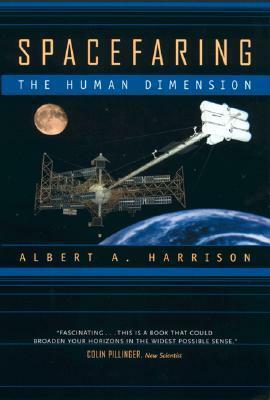 This entry was posted in Non-fiction and tagged Albert A. Harrison, astronautics, book review, books, Spacefaring: The Human Dimension, spaceflight. Bookmark the permalink.